If you want to engage with the people who opt in to your email list, you don’t want an autoresponder. You want lead nurturing. The term, autoresponder, has been so over-used, many people think that lead nurturing and autoresponders are the same. They’re not. The difference between them could be the difference between hitting your revenue goals for the year and… not. Yes, both are a series of emails sent on a schedule, usually triggered by some action and sent automatically – the “automation” part of marketing automation. But that’s the end of their similarity. The fundamental difference is this: an autoresponder sends emails no matter what. Lead nurturing gives you the ability to send – and to stop sending – emails in response to the actions of the email recipients. Take it a step further. Imagine that person asks you something… like “Do you like olives?” but doesn’t even pretend to listen to your answer. You could be the foremost olive expert on the planet, or you might detest olives, but your conversational companion just keeps going on and on about olives without paying any attention to your reaction. That’s what autoresponders do. Autoresponders are simply a way to string a bunch of emails together, schedule their send intervals, and send them no matter what. In fact, there’s at least one popular email marketing system with online user guides that guide you in how to create your autoresponder emails – each with different content and a different call to action. That’s because the autoresponder system has no way of knowing if you respond to the call to action. Since it doesn’t know what, if anything, you did in response to email #1 in the autoresponder sequence, email #2 should not ask you to do the same thing – so it’s a different call to action in every email. For example, if the first email says “Get our newest guide to the best olives,” and you love olives and download it right then and there, an autoresponder can’t “respond” to that. So the second email in the sequence is all about the wonders of olives – but you don’t need to be told that, because you already have the olive guide. The sad thing is that the autoresponder doesn’t know that and can’t adapt to your action. 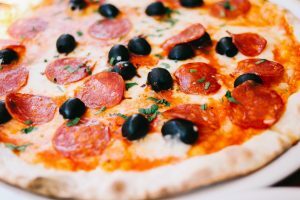 Now imagine that you’ve met someone else who asks you “How do you like olives?” and you respond “I don’t like olives at all.” If the person you’re with then says “Okay, what pizza toppings do you like?” and then switches the conversation to talk about something you DO like, how do you feel? Acknowledged? Heard? Respected? Do you start to feel a sense of trust with this person? That’s what lead nurturing is all about. It’s like having a conversation with your best friend, a trusted colleague, or a relative stranger who is genuinely interested in what you have to say. When you say you love olives, lead nurturing says “I love them, too, and here’s a great olive resource for you.” When you download the great olive resource, lead nurturing says “You know what else I do with olives? Muffuletta sandwiches! Here’s my recipe.” And when you politely decline the sandwich recipe, lead nurturing suggests that a cheese and olive board might be more up your alley. BUT – and this is a biggie – if you opt-in for info about olives, then take the muffuletta sandwich recipe, lead nurturing can automatically switch from sending info about olives to sending info about cooking with olives. See how that works? Or if you start looking at olives and switch to looking at sun-dried tomatoes, lead nurturing will shut down the olive sequence and offer you a sun-dried tomato sequence instead. Now replace my example pizza toppings with whatever you sell and all its many flavors. Whether you sell complex solutions to big businesses or online courses to home-based entrepreneurs or anything in between, you want to email people about what they’re actually interested in, not what you want to say. And that deserves a pizza. Is there any hope that this dire word “nurturing” can be banished for all time? Only if they ban the word “autoresponder” at the same time, lol. I know of no one that wants to be ‘auto-responded’ to… ever. Which is why nurturing is something that leads people and responds to their activity, and doesn’t just spew emails no matter what. Do you have a better word? I’m all ears Drayton. A stimulating post that deserves consideration. I’m auto-responded at probably 150 times a day as opposed to being nurtured 50, although I feel nearly all of the 50 are still via auto-responders, as it’s an almost unavoidable mechanism for delivering the messages. To nurture your leads/customers involves effort, attention to detail and a long-term view, allied to an interest in people as well as profits. I would suggest that those who don’t intend to nurture intend to put profits before anything else and will probably wither away accordingly.